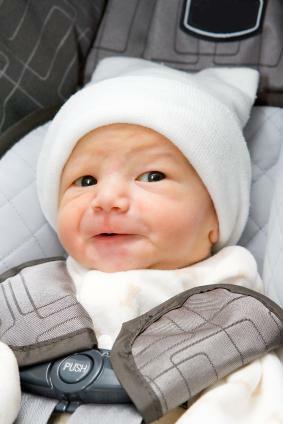 Car seat laws are variable from state-to-state but car seat laws in Florida are clearly outlined in the 2009, Florida statutes section 316.613 child restraint requirements. The Florida statute declares that all vehicle operators are responsible for the adequate protection of any child who is five years or younger riding in their vehicle. The diver must ensure children use a federally approved child restraint device. Children aged newborn to three-years-old, must utilize a restraint device that is a separate carrier or manufacturer' integrated child seat. For children four through five-years-old, a separate carrier, an integrated child seat, or a seat belt may be used. Florida state law has no requirement for placing a child in the rear seat of a vehicle, but for infants the car seat must face backward. It is also clearly stated within the statute that the failure to provide and use a child passenger restraint must not be considered negligence and must not be admissible as evidence in the trial of any civil action, with regard to negligence. In Florida, if you violate the child seat law you are committing a moving violation. You will receive a ticket with a fine and points assessed against your drivers' license. There are child restraint safety programs available to waive the fine and points if approved by a judge. An infant seat is a seat that faces the back of the car, never the front. Infant seats are specifically designed for infants up to 20 to 22 pounds. Most are designed as both a car seat and a carrier with a handle for easy transporting to and from the automobile. A child car seat is appropriate for a child after reaching 25 pounds or greater and according to Florida law, the car seat can be placed in either the front or back seat, facing forward or backward. A booster seat is used to lift up a child and properly position the vehicle's lap and shoulder belts onto children who are still too small to fit an adult sized seatbelt. Boosters are rated for use from 30 to 40 pounds to 80 to 100 pounds, depending on the manufacturer and style. Booster seats should be used after the child has achieved a weight of 40 pounds or greater. The Florida Highway Safety and Motor Vehicles has issued a statement indicating that national statistics show that 80 percent of all child safety seats are improperly installed. Florida state troopers are certified technicians in child safety seat installation and provide services and instruction to both parents and caregivers on proper installation of child safety seats and other materials that will assist in child safety.